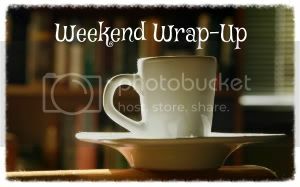 Weekend Wrap-Up (May 31st) & Giveaway Winner!! 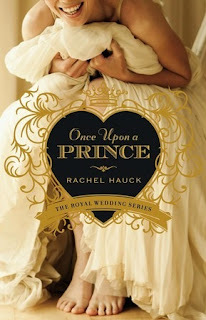 Once Upon a Prince is the first book I've read by Rachel Hauck, but I've been wanting to read The Wedding Dress for a while now. I'm not a huge fan of contemporary romance novels, so I wasn't sure what I would think about Once Upon a Prince going in, but since I'd heard great things about it and it sounded good, I was excited to start it. Once Upon a Prince starts off great and I was interested in the story pretty much right away. 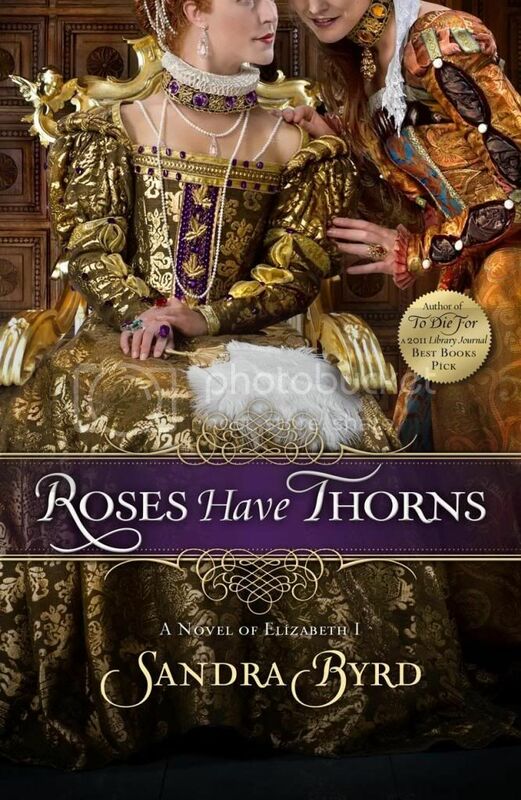 I liked most of the characters and the whole prince/royalty aspect of the book. One thing I didn't care for was how Aurora predicted what was going to happen in Susanna's life before certain events occurred - it was just a little too weird for me. The ending, while predictable, was sweet and I'm interested in seeing what happens next in the Royal Wedding series. Overall, Once Upon a Prince was a nice, light read. 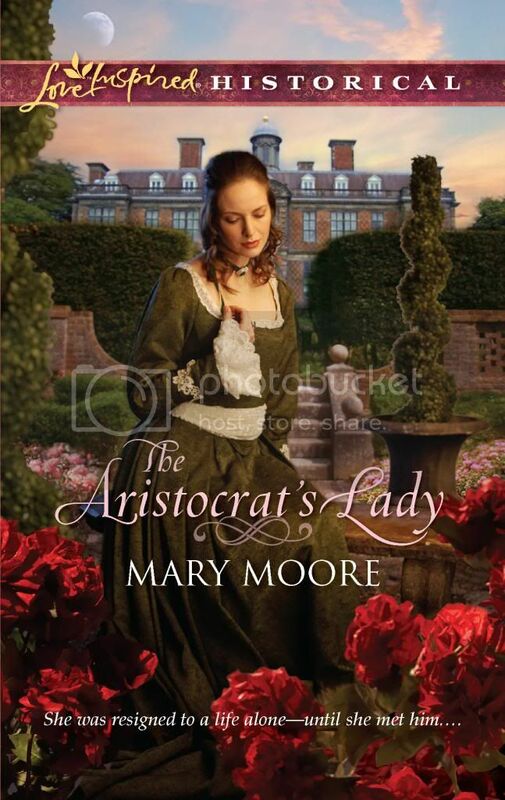 If you tend to enjoy contemporary romance novels, I think you'll enjoy it. Interview & Giveaway: Mackenzie Dare ~ Author of Fire Storm! 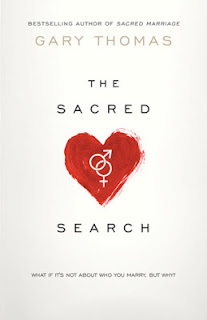 Welcome to Christian Bookshelf Reviews, Mackenzie!! What is your book, Fire Storm, about? 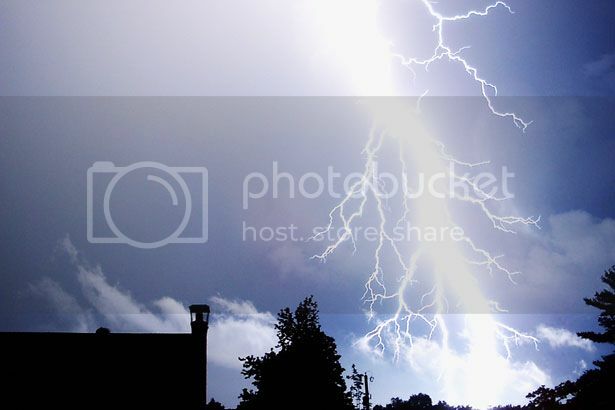 Fire Storm is about a couple of young families living excessively normal lives in a small-town, farming community in Northern Illinois. Wade is a paramedic. His wife, Mellissa, works in a lawyer’s office, and they are expecting a baby very soon. Their best friends, Jim and Jessica, live on a small horse farm out in the country. Jim is a fireman. Jess is a stay-at-home mom with her recently born little girl. Life is fun and carefree till… Jess starts running into threats at every turn. Are they even threats or just accidents? The thought of a killer being after Jess just seems so ridiculous though… not so much… when she comes eye to eye with murder! Who and Why? What about Wade ‘n Mellissa? Will they remain safe in their young existence, or will the epidemic of murder spread? How far does it reach? What are the secrets? Hmmm… I’m sure there is a lot the average reader wouldn’t know about me. … At least there better be. J One of my most exciting and satisfying experiences was when the Lord blessed with helping me finish running my first full marathon. I don’t remember a conscious decision. I think that’s just the way the Lord made me. I’ve always loved writing and making stories up in my head for as long as I can remember. Every once in a while, I’ll find a page of an ancient second or third grade short story and chuckle as I read it and try to decipher the context. Like I have any writing quirks…. ;) Probably my most interesting one is the fact that my characters refuse to ever conform to my outline. Sure, I start out with a neat and detailed plan, but by mid-story, sometimes before, my characters are all running every which-a-way in their own directions. Sometimes the “good guys” turn into bad guys. Sometimes scenes from the end move up to the middle. Sometimes the wrong people fall in love, and even other times a deep, dark secret that I didn’t even know about will just pop up from somebody’s past. Surprises… that’s what makes writing so fun! 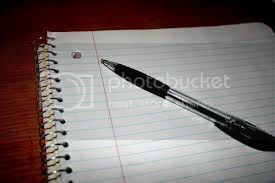 I take my notebook everywhere. I’m always looking for a likely place to relax and be transported into the lives of my characters… a thick patch of grass under a willowy, flowering crabapple, a place amongst the clover next to my horse as she eats in her pasture, a spot near a large, picture window on a rainy day with the pane slightly cracked open to hear the rhythmic patter of water droplets while feeling the chilly breeze, a cozy spot on the fireplace mantle with a hot cup of tea, feeling the warmth and hearing the crackle as I gaze outside at the swirling snow and the blowing pine branches. I love life! One of my favorite things to do is to run outside, especially on a dew-glistening, bird-singing, spring morning… just to run toward a painted sunrise and feel absorbed in the beauty of God’s creation! 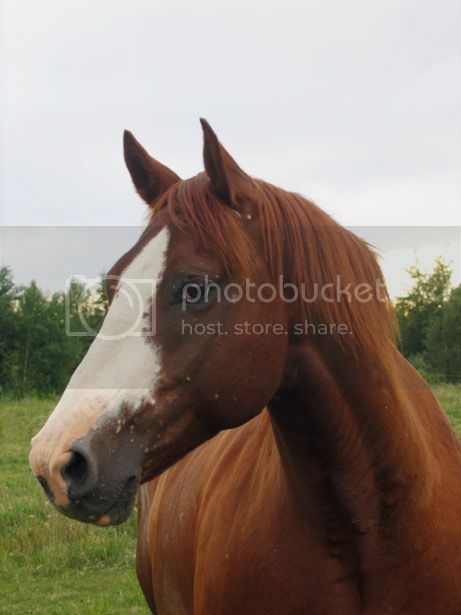 I love riding my horse down the gravel road or through the cornfields. I love chilly fall days… a cool breeze floating in a slightly open window and feeling the warm apple-scented steam as you slide a crusty, golden, apple pie out of the oven just as a drip of cinnamon syrup bubbles out and sizzles. I like a crisp, breezy walk through a pumpkin patch or a swim in a Wisconsin lake. I like camping in the North Woods or browsing souvenir shops. I’ve enjoyed climbing cliffs in the Blue Ridge and drivin’ by buffalo in Yellowstone. I love findin’ deals at garage sales and hangin’ out with my family… cookout style or pizza and popcorn movie nights. My favorite time is Christmas… It’s A Wonderful Life in the DVD player, a fire crackling in the corner, the pop of popcorn, and the sweet aroma of hot chocolate as we hang ornaments and wrap lights around our Christmas tree and nativity scene. I love seeing the Lord work in my life and teach me new things. I love Him because He first loved me. He’s shown me this sooo many times in my life! One of my favorite verses is “Thy gentleness hath made me great.” He’s the giver of life… the One who makes daffodils smile and the thunderclouds clap. I love life, love, loyalty, and laughter. 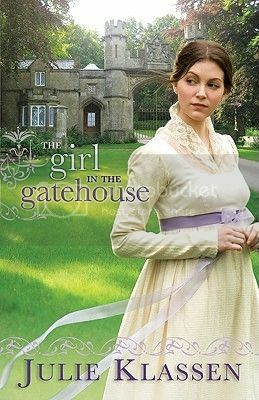 God-honoring, contemporary, Christian fiction, suspense or mystery. I love action. Too many thoughts or excessive details won’t hold my attention. I like a story to start action-packed and hold the excitement and intrigue through the whole thing. I like lots of questions that keep me guessing and some surprises. I don’t read novels that aren’t clean or that bring dishonor to God and his standards. This said, I like imperfect characters with struggles a lot better then those that seem to live a fairytale life, but I believe intriguing characters are easily made without detailing sin. There are so many places that would be fun to visit. I would love to be able to see more of America, the Grand Canyon, the Colorado Rockies, the giant Sequoya trees, the Pacific Ocean, New York City, etc…. Our country has so many experiences to offer! I feel like I’ve barely scratched the surface. I’d love to someday visit the old European castles and spend some time experiencing England or spend time visiting the vast Canadian wilderness. I love observing the Lord’s creation most of all. He’s certainly created some spectacular sites! This is always a hard question for me to answer because I have so many favorites! It depends on your situation for what you need. Once I saw in a Christian bookstore some little, orange, prescription, medicine bottles with strips of paper that had verses written on them for many different situations. They had bottles for anger, bottles for pride, bottles for depression, etc…. This is so true. 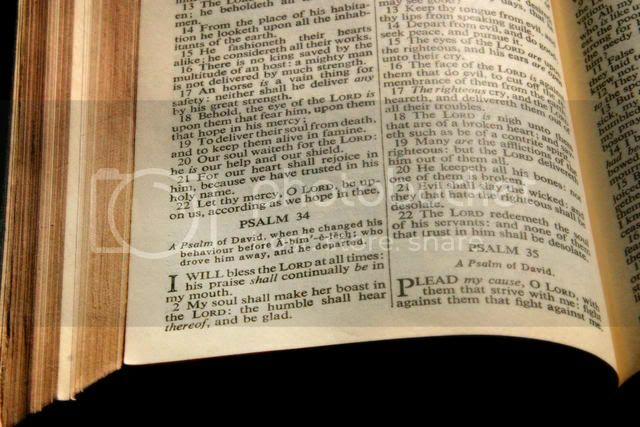 The Bible has the answer to every one of Life’s questions whether directly or indirectly addressed on those special pages. “Immortal, Invisible” or “I’ll Never Forsake You” sung by the Steve Pettit Evangelistic Team. Christmas! Starting with Thanksgiving and ending after New Year’s Day. :) This is such a family time! …Special holiday breakfasts, stuffing the turkey while watching the Macy’s parade, cuttin’ down the Christmas tree, Hallmark movies, festive decorating, Christmas music, Hometown Holidays, warm, crackling fires, hot chocolate with melty marshmallow and candy canes, exchanging gifts, snow-covered Christmas lights, rosy noses, and toddler snow angels, the Rose parade, warm hearts, hugs, smiles, and laughter…. This is a very special time of year to me. Yes, I am working on a sequel, and I’m having quite a bit of fun with it! Danger lurks in the shadows one night as the firefighters leave their shift. While walking home, one hears gunshots and instinctively responds. The victim, killed for a death-stained object within his possession, passes the torch to the fireman before drawing his final breath. Instantly aware of the awesome responsibility that he has just been given, the fireman becomes keenly aware of two things: the fate of justice is resting within his hands, and he has just been passed the curse of death. 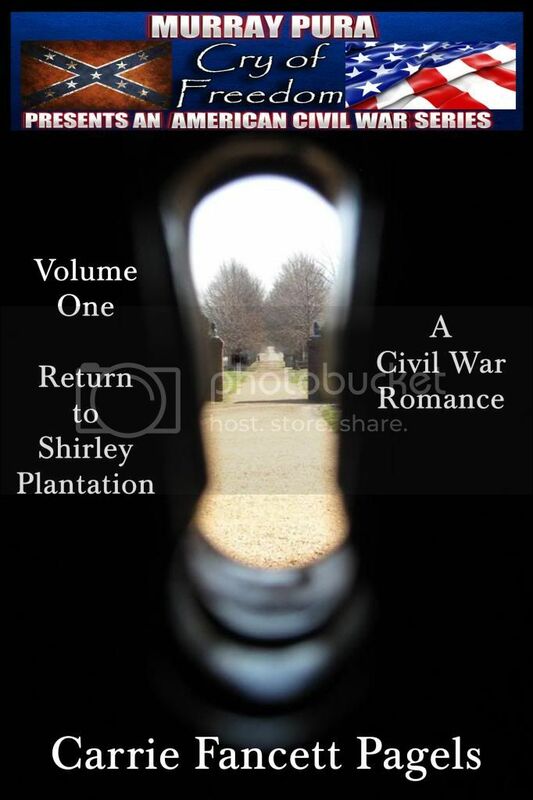 You’ll also find the stories behind all the characters growing deeper and more complex. 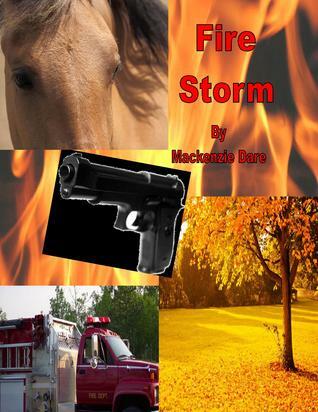 www.goodreads.com/author/show/6951145.Mackenzie_Dare. Thanks for your interest! Hope you all have a wonderful day! 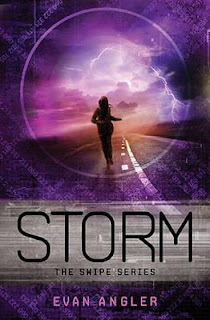 Enter to win one of five PDF copies of Fire Storm! Giveaway is open Internationally. To enter, be sure to sign into the Rafflecopter form and click “enter” on each entry you complete. Commenting alone will not get you entered – you must click enter on the form. Happy entering! Having enjoyed two of Jill Williamson's previous books and being a huge fan of the dystopian books I've read, I was pretty sure I'd like Captives before I even started it... and my hunch was right! The whole story matter was very interesting (the virus, how The Safe Lands' people need donors and surrogates to continue populating, etc.). I really liked the characters in Captives. My favorite was Mason, but I pretty much liked everyone except Mia and the "bad guys". Captives has a wonderful cliff-hanger ending that makes me anxious to read the next book in the series! I'm excited to see where the story heads for Mason and his crew. Overall, Captives was a really good read! There are a few things that might not be appropriate for young readers, but I definitely recommend this book to mature teens and adults who are fans of YA/dystopian novels. Team Novel Teen is a group of bloggers dedicated to spreading the word about clean teen fiction. Check out other posts about Captives by Jill Williamson by clicking on the links below, and click here for more information about Team Novel Teen. 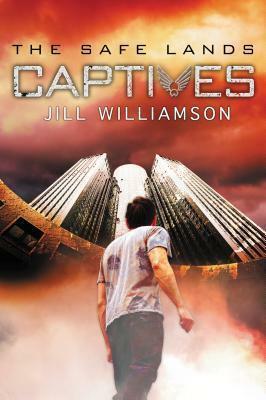 Enter to win a copy of Captives by Jill Williamson! Giveaway is only open to US residents and ends 6/10. To enter, be sure to sign into the Rafflecopter form and click “enter” on each entry you complete. Commenting alone will not get you entered – you must click enter on the form. Happy entering! After reading my first Karen Witemeyer book (Short-Straw Bride) last year, I could hardly wait to read this next Archer book. Stealing the Preacher was such a wonderful read that I had a hard time putting down. 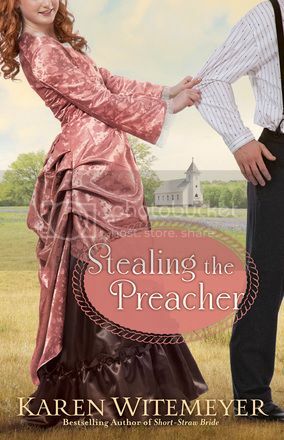 I absolutely loved the characters in Stealing the Preacher! 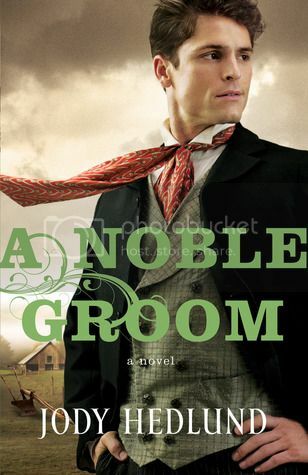 I was already familiar with the Archer brothers (Travis, Jim, Crockett, and Neill) and knew I liked them from Short-Straw Bride, but I was a little surprised by how much I loved Crockett in this book - he definitely was my favorite character. In addition to the brothers, I also really liked Joanna, Silas, and Jackson. The story was very good and I liked the action/danger in Stealing the Preacher - it made me want to just keep flipping the pages. :) The romance was sweet and brought a smile to my face. I loved the ending, but some things seemed a little too perfectly wrapped-up - that is one of the only negatives I had with Stealing the Preacher. While I loved Short-Straw Bride, I enjoyed Stealing the Preacher even more and it's now on my "Favorites" shelf. The book had me grinning, smiling, and laughing. I kind of wish Crockett's brothers would have been in this book a bit more, but I'm really happy with the updates/appearances that were included. Weekend Wrap-Up (May 24th) & Giveaway Winners!! Haven't been reading a lot lately, but I hope to finish most of the books I'm currently reading and these two this week. Weekend Wrap-Up (May 17th) & Giveaway Winners! !